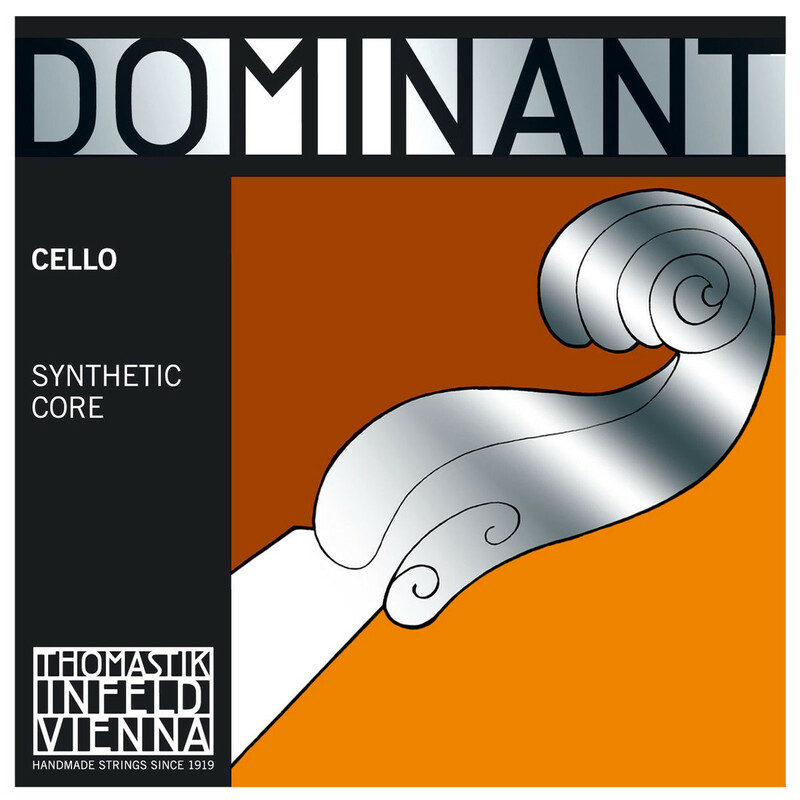 The Thomastik Dominant 145 1/8 Cello C String has a flexible synthetic core that provides a warm, clear tone. Thomastik's synthetic strings are resistant to change from humidity which provides durability and reliability, as well as having the tone of real gut. 1/8 scale cellos have a far more high end than a standard size, so the Dominant strings are designed to bring out the signature brightness, yet also assist in pushing forward some low end overtones to compensate. The classic tone has made the Dominant series a standard in synthetic strings. With a silver winding the softness of the tone is increased, and produces thinner string with a more flexible sound. For a versatile C string with strong overtones and mellow sound, the Thomastik Dominant 145 1/8 is an ideal choice for live, studio and casual cellists.